When most new teachers dream of stepping into a classroom, they think of the lessons that will be taught, the knowledge that will be imparted, and the students whose lives will be enriched. Rarely do they imagine the discipline issues that will arise or the behavior problems they will inevitably face. However, dealing with such topics is a necessary – though fortunately not an all-consuming – part of teaching. Since even the most experienced teacher faces a challenging class or a difficult student once in a while, it’s important that they develop a strong classroom management plan. These plans should be updated often as each new school year brings a different group of students with their own unique dynamic. However, using a set of ageless principles in creating your management style will help you update your techniques each year without having to start from scratch. Following the five tips below will help every teacher from seasoned to new create a timeless and flexible classroom management structure that will take them from the first day of school all the way to the last. Keeping a daily schedule helps students develop a routine and stay on task as they move from one subject to the next. For example, use the Gynzy Traffic Light tool to help your class know when it’s time to clean up, change centers, or move on to another assignment. Display the traffic light using your interactive whiteboard and resize it to the proportions you desire. When the light is set to green, students know to continue their work as directed. Change the light to yellow when you want to give them a 5-minute warning. This lets the class know they have a few minutes left in which to finish up, clean up, and get ready for the next assignment. Turn on the red light when time is up. 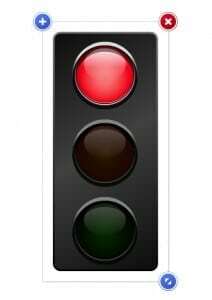 The red light can also let your class know they need to give you their undivided attention in order to hear new instructions. Set the light to green again when they begin their next task. Another helpful scheduling tool is the Independent Learning Timer for your interactive whiteboard. The timer is an excellent way to keep your students on track during their morning routine. Display the timer for the class to see using your interactive whiteboard. Then select from the pre-marked blocks of time at the bottom of the tool in order to create a time limit for each part of your morning routine. For example, if you like students to spend ten minutes journaling after the morning bell rings followed by twenty minutes of desk work, and ten minutes of silent reading, select each of these times in order and drag them to the timer bar. When you are ready to begin the morning schedule, click on the ‘start’ button. The timer begins to count down with the color changing on each of the segments so that your students can independently monitor their progress and know when to switch to the next task. Nothing creates chaos faster than a lack of organization. A class somehow always seems to know when their teacher is unorganized and scrambling to complete a lesson. Maintaining a high level of organization will limit the number of times you find yourself caught by surprise or are unprepared for the next element of your day. Using the Gynzy Morning Routine tool will help you get an organized start to your day. Display the morning routine on your interactive whiteboard and choose from the calendar, current weather, season, days of the year, or number sense tools. Having each of these elements on your interactive whiteboard ensures you’ll never have to scramble to find the next date for your calendar or come up short on popsicle sticks for counting the days of school. It also allows you to transition from one aspect of your morning routine to another without having to shift to a different part of the rug in order to reach the next topic. 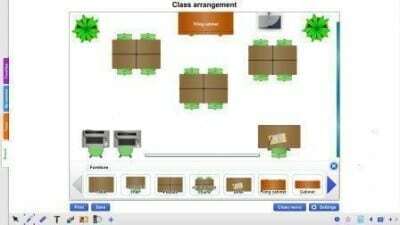 The Class Arrangement tool is another efficient way to stay organized. This interactive whiteboard application allows you to create a new floor plan for your classroom and enter the names of each student on the image of their desk. This tool is the perfect way to introduce a class to their seating arrangements on the first day of school or following a change to your classroom setup. It also gives you the chance to play with new seating arrangements without having to actually move any of your classroom furniture. You can swap students and change desks all from your interactive whiteboard. 3. Give Your Students Classroom Responsibilities. Another great way to manage your classroom is to give your students jobs. Putting students in charge of specific classroom tasks helps them claim ownership in the organization, cleanliness, and overall structure of their day. It also teaches them responsibility and gives them the chance to use their talents and abilities to benefit the class. The Task Planner by Gynzy allows you to enter the name of each of your students and assign them specific jobs. Examples include trash duty, door monitor, ball monitor, morning helper, chair checker, and reading corner keeper. Once you have assigned tasks, display the planner using your interactive whiteboard for the class to see. This helps them stay focused on their individual jobs and prevents squabbles about who is line leader for the day. 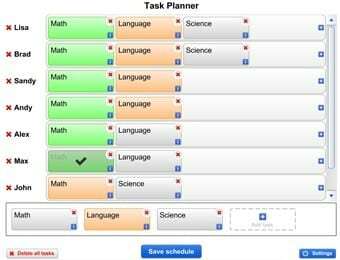 The Task Planner can also be used to assign academic tasks for the day or to divide your class into groups for centers. For instance, you can have Annie, Adam, and Ashley grouped together for the reading center while Billy, Bobby, and Blake are all working on math. Change the tasks for each group when it’s time for them to switch centers. Many students work well within a system of rewards versus a system of reprimands. While disciplinary actions must be taken from time to time, providing positive incentives for students to be on their best behavior throughout the day can often be a more powerful motivator. These incentives can be on an individual or on a class level. As an individual reward, give students the opportunity to earn minutes on the classroom’s interactive whiteboard. Perhaps students can earn up to a maximum of 15 minutes. Reward students with one, two, or even three minutes when you catch them doing something good, completing all their work correctly, or helping out a neighbor. When they reach their maximum, allow the student to play any of their favorite learning games on the interactive whiteboard. These can include Memory, Tangram, and Hangman. You can also use your interactive whiteboard as a class incentive. You can add marbles to a jar, move a car along a road, or use the earning minutes example from above to help your class reach their goal. Once they have earned their reward, play a smartboard game as a class. 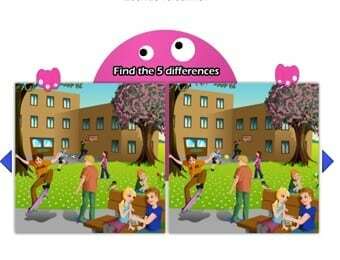 Use the Find the Difference activity and have your students play in teams to see who can spot all the differences between the pictures. 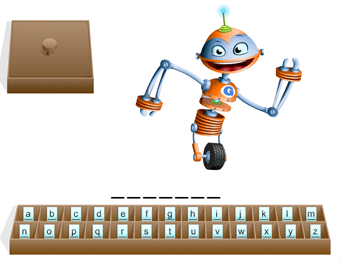 Create your own quiz show game with the Gynzy Game Show and have students play in groups as contestants or play a movement game in the classroom and use the Scoreboard tool to help keep track of points. Regardless of which of these reward systems you choose to implement, you are certain to motivate students to do their daily best and reach your classroom management goals. Perhaps one of the best classroom management techniques is to strive to sincerely care about each of your students. This may be challenging when it comes to certain members of your class but if you can work on seeing each child as a unique individual with their own talents, struggles, and home-lives, it will be easier to be patient and understanding. Most teachers enter the classroom due to their desire to educate and their love of working with children or youth. One or two years of tough classes can dim these feelings and make it harder to find the good in the students who walk through your door. However, approaching each day as if it were a clean start for your students—especially for the more challenging ones—can help you have the right mindset to be caring, compassionate, and empathetic. The five ideas listed above will help you build your own platform for classroom management. Use these tips as a backbone upon which to structure your own methods by incorporating your personality, beliefs, and talents. Though the specific games you play and tools you use may change from one year to the next, the timeless principles discussed above will help you develop your own classroom management style, maintain organization, and create an atmosphere where you will love to teach and your students will love to learn.